LILONGWE, Malawi (AP) — Pop star Madonna on Wednesday denied a report that she filed for the adoption of two more children from Malawi. 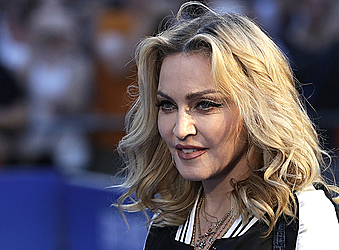 Madonna said she was in Malawi for charity work, contradicting Mlenga Mvula, a judiciary spokesman in the southern African country who said the singer appeared before a High Court judge over the adoption issue on Wednesday. "I am in Malawi to check on the children's hospital in Blantyre and my other work with Raising Malawi, and then heading home," Madonna said in a statement. "The rumors of an adoption process are untrue." Madonna adopted David Banda in 2008, and a year later adopted Mercy James. The pop star in 2006 founded the charity Raising Malawi to address the poverty and hardship endured by the impoverished country's orphans and vulnerable children.